The epic battle between darkness and light continues in the second book of The Grisha series, Siege and Storm by Leigh Bardugo. Alina and Mal escaped the Darkling once and are fleeing as fast as they can. But they fail to stay below the radar and soon find themselves back inside the Darkling's evil grasp. The bond formed between readers and Alina in the first book suffers a little throughout this installment. Alina still has the first amplifier for her power, mainly because if she took it off it would create another Shadow Fold or worse. When the Darkling catches up with Alina and Mal, taking them both prisoner once again, their sights are set on a second amplifier from a sea dragon of ancient myth. Up to that point, Alina is still the girl readers were introduced to in the first book. After the sea dragon scales are added, Alina changes. She becomes an angry, power-hungry version of herself. Alina recognizes the darkness within her and hides it, letting it grow in isolation through abandonment. But she can only fight it for so long. Yes, Alina still wants to save Ravka. Yes, she's still brave, sarcastic, and in love with Mal. However, readers won't feel as connected to this changing Alina even if they understand her internal struggle. 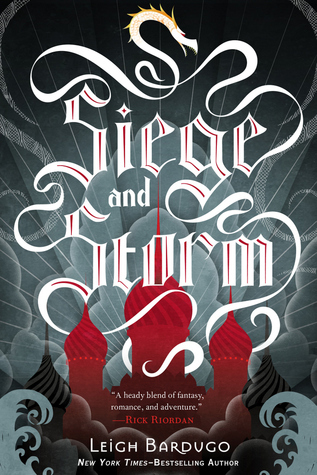 Siege and Storm opens a few months after Alina and Mal escaped the Fold. They're caught pretty quickly by the Darkling and then saved by a pirate who takes them back to the Ravkan capital. 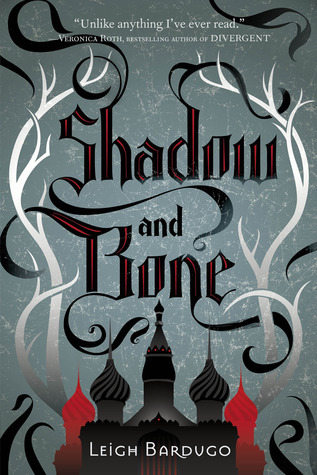 The Darkling has new shadow monsters fighting for him and Alina must convince the remaining Grisha of the Second Army to fight with her. Through all of this, Mal is slowly slipping away from Alina as she becomes more powerful and more distracted. Readers will love the intense politics of the palace and revel in the action, but their hearts will ache with Alina and Mal's when darkness tries to pull them apart.